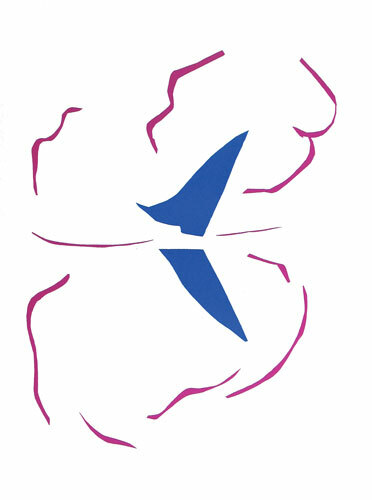 On December 4, 1961, stockbroker Genevieve Habert, while browsing through New York’s Museum of Modern Art, noticed Henri Matisse’s La Bateau (“The Boat”) hanging upside down. He notified a guard and The New York Times before the museum’s art director, Monroe Wheeler, fixed the mistake, which had been on display for 47 days. Henri-Émile-Benoît Matisse was a French artist known for his fluid use of color primarily shown through his paintings, but he was also a printmaker, sculptor, and draughtsman. La Bateau, shown here, was a paper-cut piece, a type of art originating in China as a decorative art. It represents some of Matisse’s later work reminiscent of Pablo Picasso, with whom he became close friends through Gertrude Stein. Much of Matisse’s earlier works fit the style of French impressionism, but he eventually adopted the newer abstract style of expressionism. After dealing with choppy seas, La Bateau remains in the Museum of Modern Art as part of the “Final Works of Henri Matisse” exhibition, hanging rightside up.